The over £35 flowers range is an extravagant collection, ideal for when you really want to spoil your loved one. 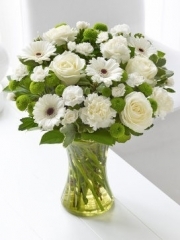 No matter what your occasion is, Aberdeen flowers having something simply perfect for you. You are able to browse online to have a flick through the over £35 flowers, as well as any of our other categories such as romantic gifts and plants, to get a general feel for the sort of quality and standard we provide. 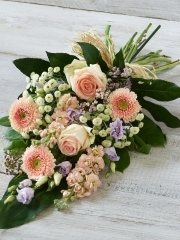 Our florists have many years of experience in the floristry industry as well as an artistic flair so you can be sure you’ll get something beautifully arranged and unique from us. Our flowers are imported from Holland and we receive several deliveries from our suppliers several times a week so our flowers are always fresh, ready to be used for your special occasions. Not only do our Dutch cultivators provide us with premium quality flowers but we receive an abundance of flowers. 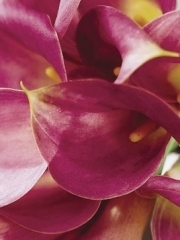 From gorgeous lilies of different varieties such as Asiatic and oriental, from roses of all the colours of the rainbow to adorable germini and fragrant freesia, from exotic orchids to gladioli and anthuriums and everything else in between, you name it and we have it. 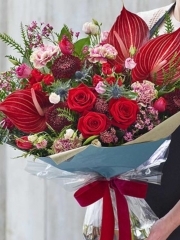 The florists in Aberdeen expertly arrange perfectly shaped bouquets which are just the right balance of flowers, foliage and filler flowers. All the bouquets are then wrapped up in complementary papers, tissues and ribbons whilst the floral arrangements are placed in either a vase, basket, box or teacup depending on what sort of aesthetic you’re after. To further personalise your flowers, you are able to attach a little card message with a few personal words. No matter what you’re after, we at Aberdeen flowers will always do our absolute best to fulfil all of your requests. Once your order has been placed, you are able to use one of our delivery services if you so wish. 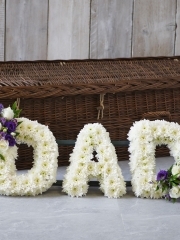 We hope that our delivery services are of convenience as we understand that sometimes it’s not aways possible to deliver the flowers yourself or if you want the flowers to be a surprise or whatever other reason. This is why we have three distinct flower delivery services in place. All are available six days a week, Monday through to Saturday, between the hours of 9:00AM and 5:30PM. The standard flower delivery option is perfect for those who like to plan ahead as this option allows you to place your order some days or even weeks in advance of the actual delivery date. This way, once your order is with us, you don’t need to worry about anything as we will take care of the rest for you. 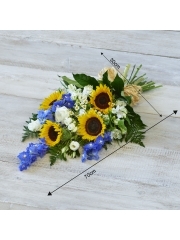 The premium same day flower delivery option is idea for those occasions which have cropped up suddenly out of the blue or for those who are perhaps slightly more forgetful with dates than others. This flower delivery option allows you to place your order on the very same day as the delivery so everything will be taken care of for you within the space of one day. Please note that if you wish to use the same day delivery option your order must be placed with us before 3PM. This is in order to give the florists in Aberdeen enough time to arrange your flowers to our highest standard. If you miss the deadline for the same day delivery, then you can use the next day delivery option which will see that your order is delivered the very next day. Customer satisfaction is our number one priority which is why we strive to continually better our services in any way that we can.